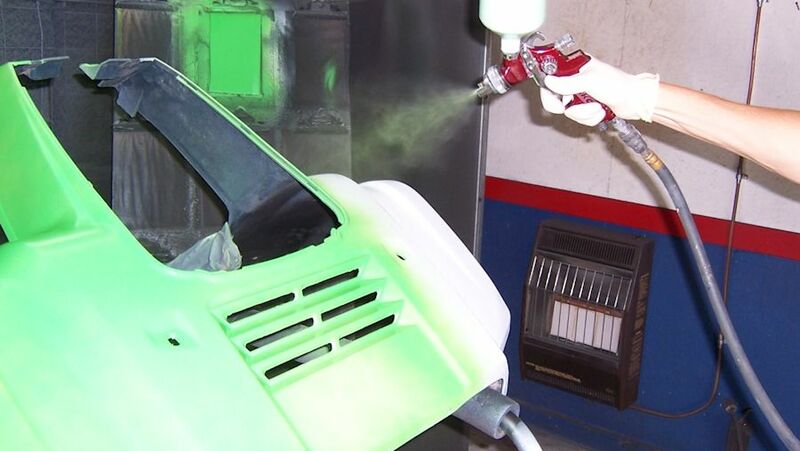 The key to successfully painting ATV and dirt bike plastics is proper preparation. 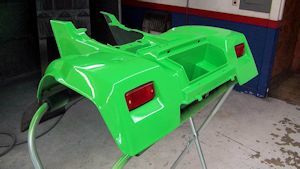 Using these procedures, you will be able to prepare your ATV and dirt bike plastic for painting. It goes without saying that the first step is to clean the plastic. Once this is done, sand the entire surface with 180 grit sandpaper. 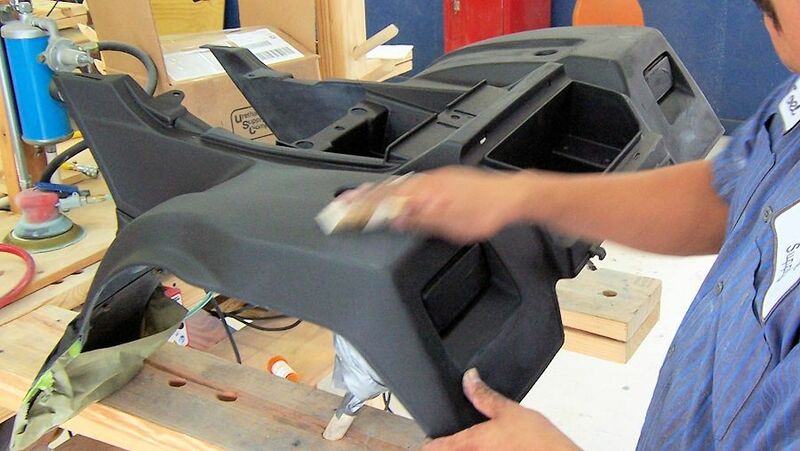 After fenders have been in the sun and are subjected to the elements, they tend to get a really thin "crust" on them. 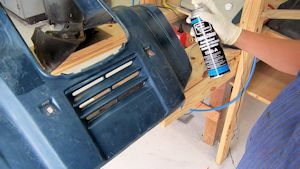 You need to remove the "crust" by sanding. 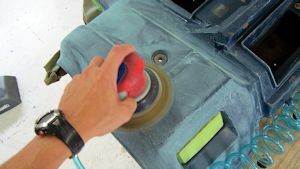 After sanding, scrub all the plastic with Scuff Magic and a red scuff pad. 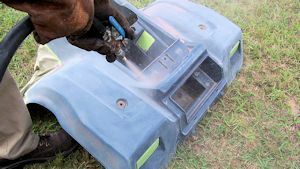 This will help to remove any water soluble contaminants and also help to remove any contaminants that may have been ground into the plastic from Step 1. Sand again with 180 grit to remove any spots or "crust" that you missed in Step 1. Sandblast everything with 80 grit aluminum oxide. 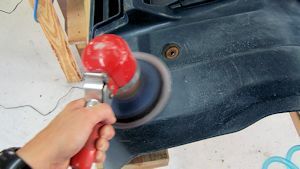 Clean the plastic with a Polyvance plastic cleaner. 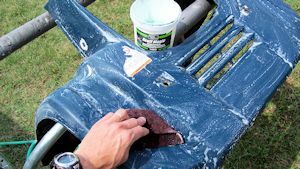 Spray a heavy wet coat; wait about 20 seconds for the solvents to disolve or emulsify any contaminants, then wipe with a clean paper towel. 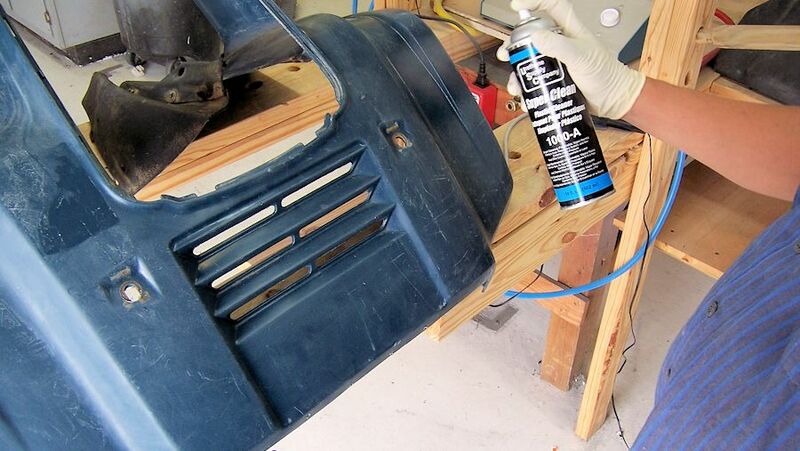 Apply 2 heavy coats of Plastic Magic. 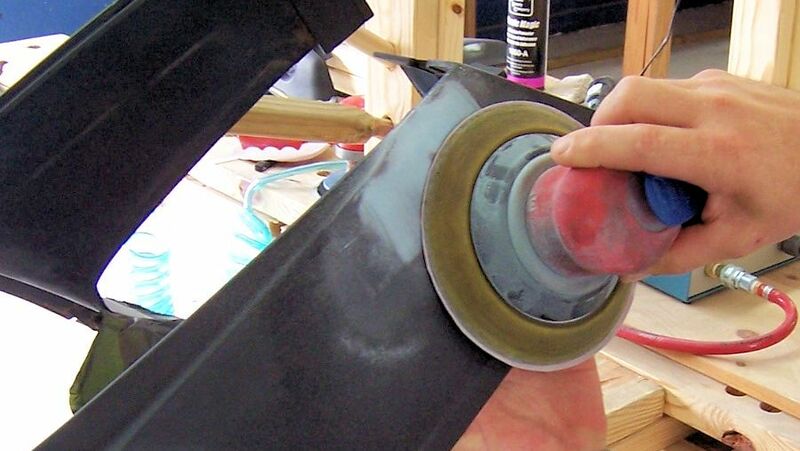 Be sure to allow first coat to flash off before applying the second coat. Allow Plastic Magic to dry completely. Now apply high-build waterborne primer surfacer. The high build will fill any sand scratches and sandblast pits. 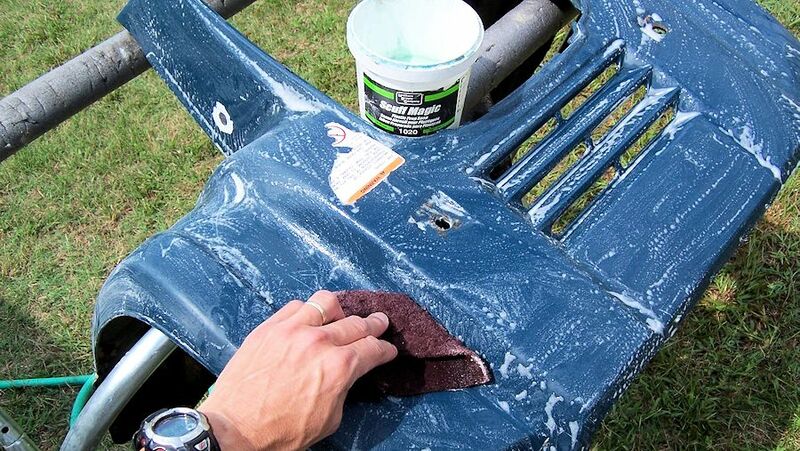 Allow the primer to dry completely before the next step. Because the waterborne primer is a high-build primer surfacer, it has somewhat of an orange peel finish. 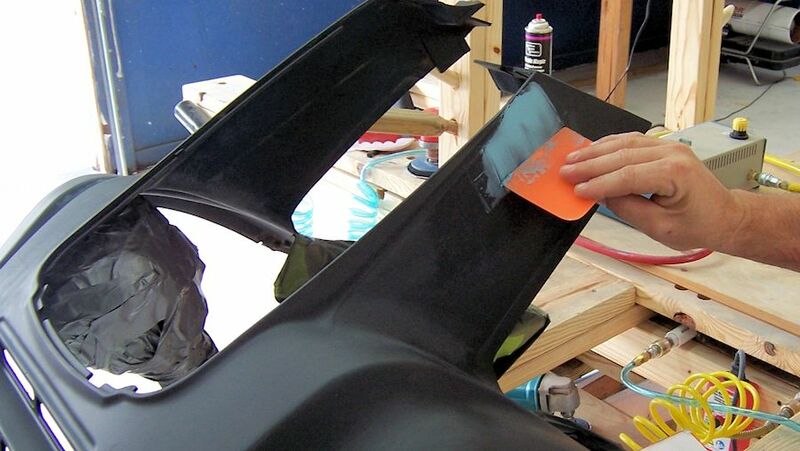 Sand the surface smooth with 320 grit paper. 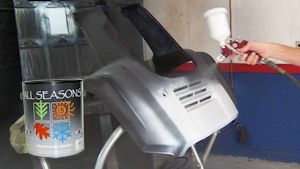 The waterborne primer sands nicely and easily. 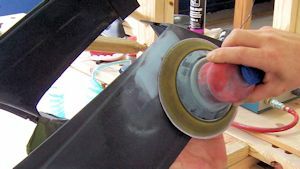 Any low spots or imperfections can be filled with Putty Flex. 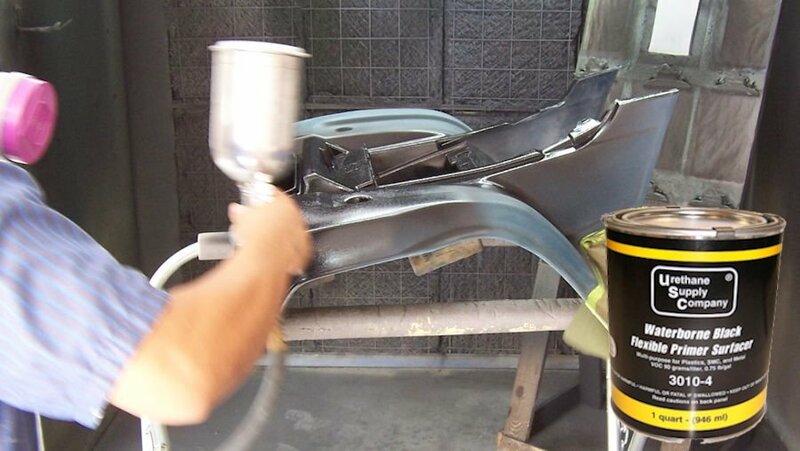 Apply All Seasons Waterborne Flexible Bumper Sealer (White). Once the sealer dries, you can apply your basecoat and clear coat. Don't forget to add a flex additive to the topcoat. That's it! Finished! 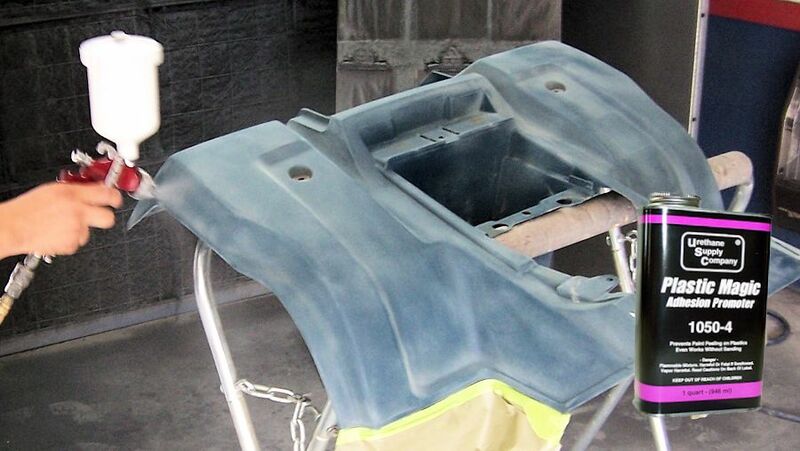 Here is the ATV fender that has been painted.